Something happened between the initial release of brown Rage way back in October of 2011 and up until the announcement of Rage 2: Colors. Like, bright pink and yellow among other things. It becomes quite evident in the latest trailer for the game that feedback has been consumed in buckets, and while I enjoyed parts of the first game, it was inherently boring from the get-go and it never stopped being boring. And brown. 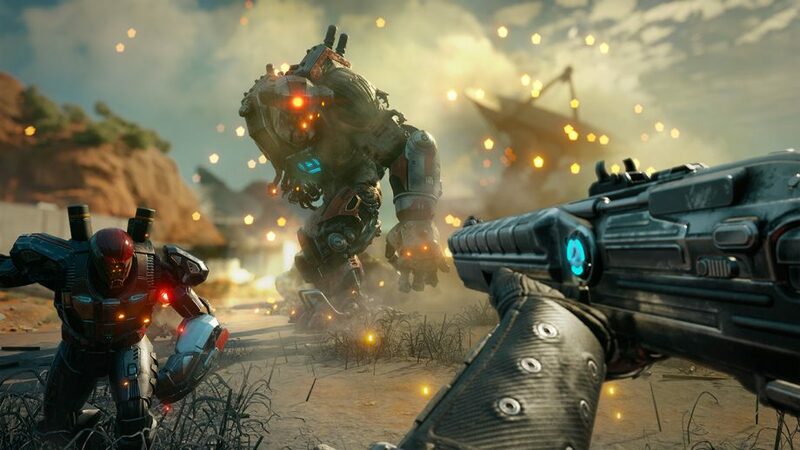 Rage 2 on the other hand looks like a hot steamy date between Borderlands 2 and Bulletstorm and perhaps a small fling with Mad Max. More importantly, it looks like a lot of fun. With the release of the trailer during The Game Awards last night, we now know that Rage 2 will be released on May 14 next year, so let the waiting commence.